You can find the "large" picture and associated blog entry through my blog's archive on the right side bar (scroll down a little bit). I plan to print out the 4x6 pictures and get them into a 12x12 scrapbook (I have so much 12x12 paper that I couldn't bring myself to buy the fabulous Project Life kit). I have digital versions of the journaling cards, and I am using PSE to copy / paste my daily blog entry onto the cards. They will be printed out, just like the photos. I have completed January's photo and cards, and want to complete February before having the 4x6 prints made. Hope you are still progressing on P365. 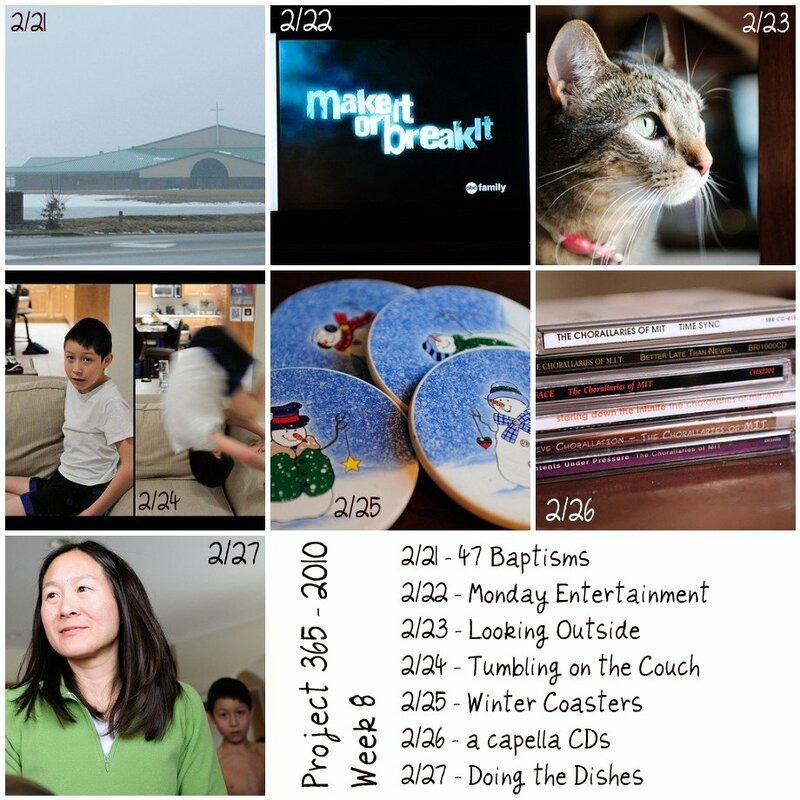 For inspiration, check out the other P365 - Project Life participants at Jessica Turner's Blog.